The German racing and tuning company has rebuilt a Porsche 911 GT2 as a racing car. 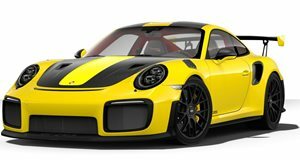 Renowned Porsche tuning outfit Albert Motorsports has recently showcased their latest project dubbed the GT2 R Flat, which although at first glance appears to be based on the 997 is in fact a 996 pieced together with panels, headlamps and tail lamps from the 997. The smart transformation from road-going 911 GT2 into a 997 GT2 flat top racecar, has been painstakingly recorded from the brake down to the reassembly and the chopping down of the roof that gives the car a new, highly appealing profile. Details are practically non-existent for this great-looking Porsche but there&apos;s bound to be plenty of power behind that pretty face, given the German-tuner&apos;s current stable of thoroughbreds. Taking the traditional rear-wheel-drive 911 formula to an all-time high.